The full VOD for AHAT Cali's recent Bad Company is now available on VerseTracker. 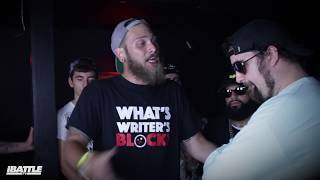 The 8 battle Video on Demand features headlining battle, Dizaster vs. Cali Smoove. Also included is Chico vs. Danny Myers, K Philosophy vs. Geechi Gotti, Lex D vs. Uno Lavoz and more. The full VOD and be purchased for only $12.